During the years of 1881-1900, many pioneers entered and settled the Surface Creek Valley. 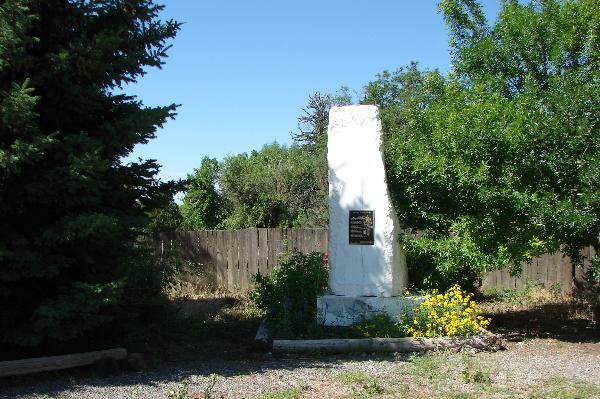 As these pioneers entered this part of western Colorado, they set the stage for the development of the communities located in present-day Delta County. Pioneer families who settled this area emigrated from Utah, other parts of the United States, and many foreign countries. These courageous men, women, and children planted crops and fruit trees, brought in livestock, discovered and mined coal, and developed the water systems from Grand Mesa. With their foresight, strength, and courage, they contributed in many ways to make this area a wonderful place to live. Many have gained from the efforts and hard work of these sturdy pioneers. 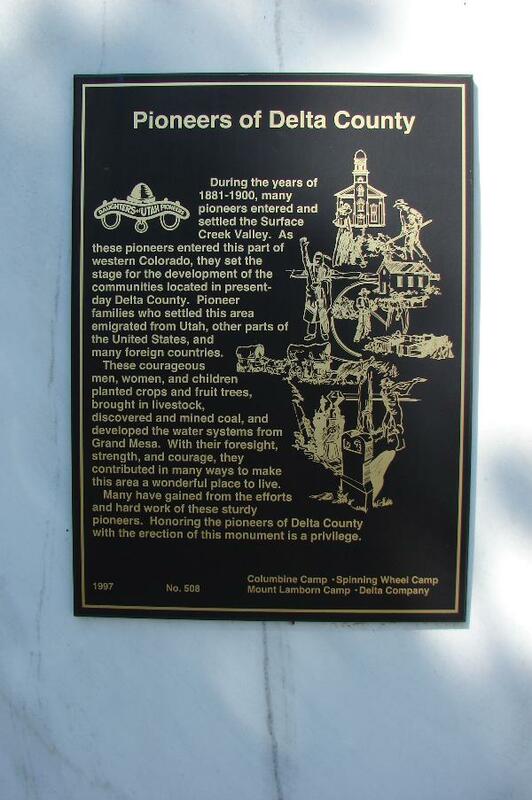 Honoring the pioneers of Delta County with the erection of this monument is a privilege.